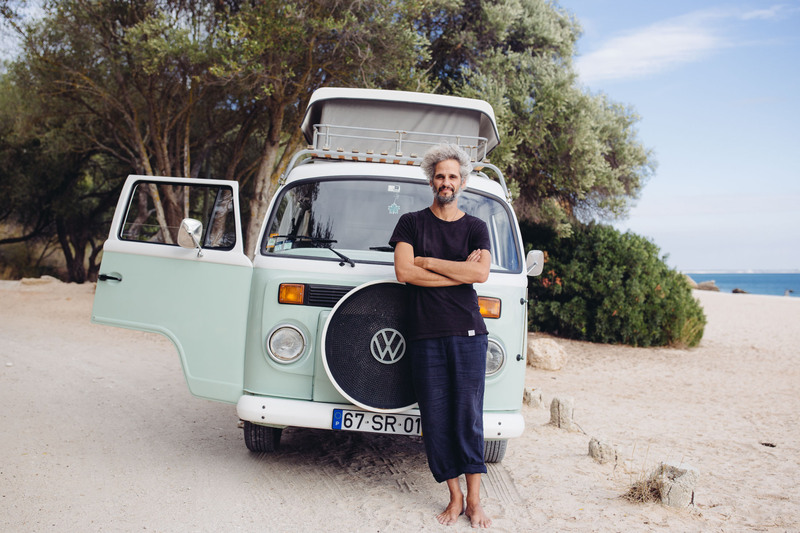 “You have to drive her like you’re dancing”, Jose said, as we bounced down the streets of Lisbon on our way to the Siesta Campers garage. 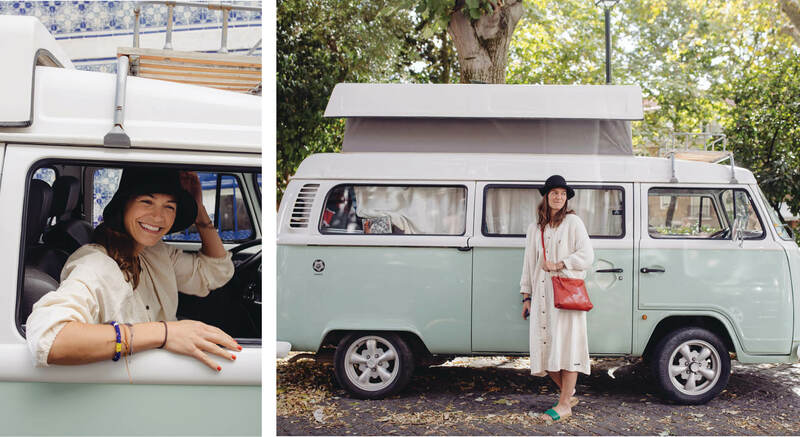 Rio, a minty-green Volkswagen camper van, swayed back and forth like a charmed cobra. Like Jose, Rio was born in Brazil, rolling off the line at VW’s Sao Paolo factory in 1972. And like Jose, Rio knew something about dancing. We were in Lisbon on a research trip for our Family Gatherings, and were about to live a dream we’d had for ages. 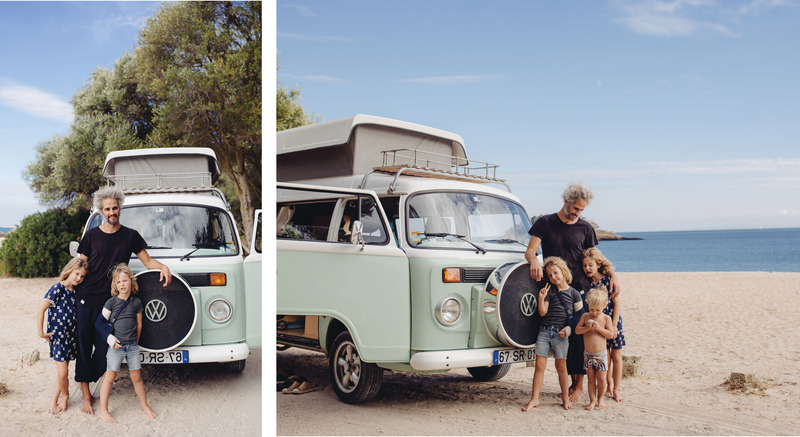 Vanlife in Portugal. Life on the move has always tugged at us. We traveled a lot as single people, and in the early years of our relationship. Matilda was born in Paris, but from the day we moved back to the United States we had been trying to figure out a way to travel more, to be more mobile. In July of 2018 we sold everything we owned and hit the road to travel indefinitely with our three children. But for years before we left we would spend evenings talking through the merits of different moving vehicles, looking at models and thinking about what we would and wouldn’t need. It wasn’t the technical aspects of the vans that excited us most. it was the freedom, the idea of rolling at your own speed, arriving in a new place with your home on your back. It was marrying the stimulus and adventure of new surroundings with the stability of home and tucking the kids into their own beds. We’d had a taste when we lived on a boat in Seattle’s Shilshole Bay. There were many things we loved about boat life, but one of the greatest was simply knowing that, at any time, we could untie from the dock and head out to some new place. 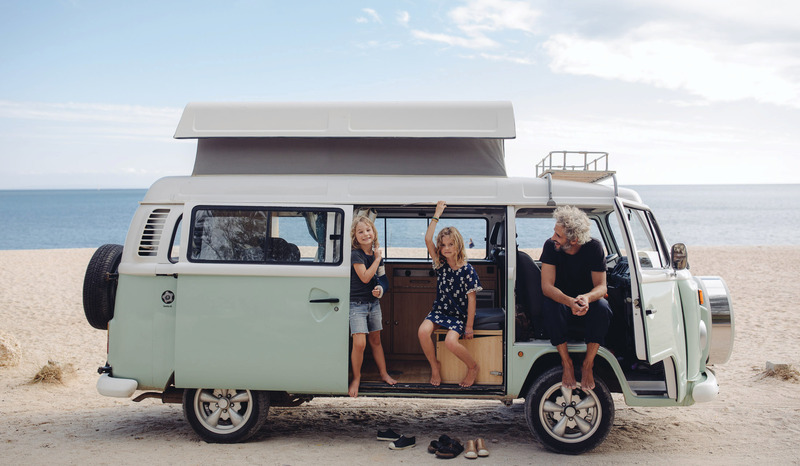 We could explore a new island or an unknown anchorage, and when bedtime came the kids would go down to their cabins and climb into their little bunks, safe and cozy with their stuffed animals and with each other. Boat life suited us immensely, despite the stress of trying to keep Viggo from falling overboard. We still have our names on the waiting list for a spot at the marina. We learned, while living on the boat, that small spaces suit us. A few weeks ago we were house sitting in our friends’ lovely three bedroom home in Marrakech. By the third night the kids had all filtered into the bedroom where we were staying, their travel beds unrolled on the floor next to ours. We’d shrunk to the space we needed, naturally and without really discussing it. I went to bed that night with everything I loved most literally within arm’s reach. I had laughed a bit when Jose talked about dancing with Rio, but the advice came back as I struggled to keep the old girl from swaying back and forth like a semitrailer on a frozen country road. I fought the urge to overreact as we crossed the Pont 25 de Abril, the great suspension bridge across the Tagus river and headed south, Rio rolling from side to side. It felt a bit like driving a bumper car in an amusement park, but this was a car I did not want to bump. “Like you’re dancing”, I reminded myself. Taryn put on some music, I took a deep breath, relaxed and started to dance with Rio, moving with her instead of trying to correct every bump and sway. The little motor tick tick ticked away behind us and we were off. 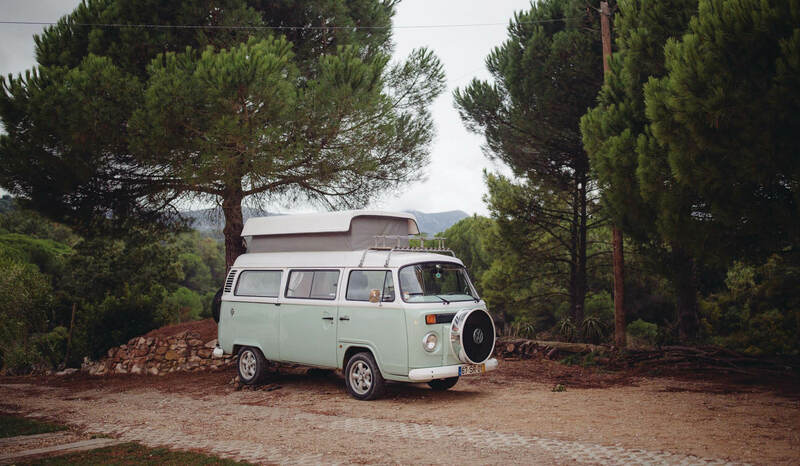 Portugal is made for travel by camper van. For a small country, it is incredibly diverse, with mountains and rolling plains, and bounded on two sides by water. 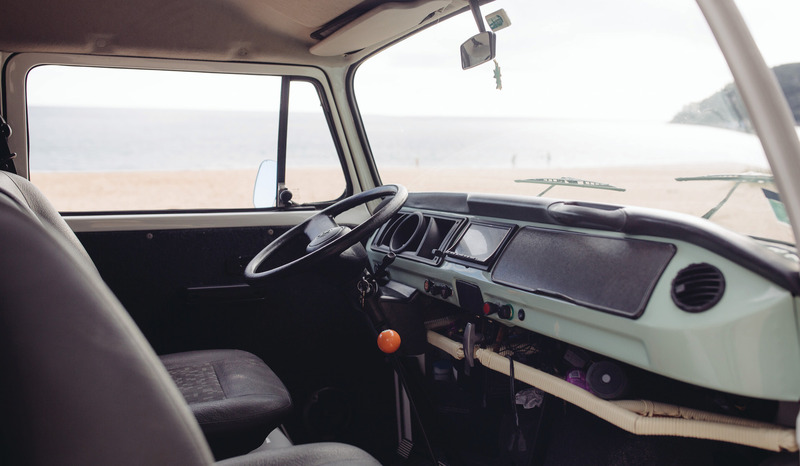 Most traveling by van head to the beaches in the South. But with only four days, we chose to stay closer to Lisbon and explore one of our favorite areas, the Arrabida National Park. We’d befriended a Portuguese family here on our last visit and it would be good to reconnect. We could park Rio on their land and make visits to the beaches from there. The four days we spent in Rio were some of our favorite in Portugal. I (Marty) slept in the pop-up top, listening to the rainfall on the roof above me, with Matilda and Francis on the fold-down bed below. Taryn and Viggo stayed in the house, coming to check on us every once in a while and bringing us hot chocolate and coffee in the mornings. 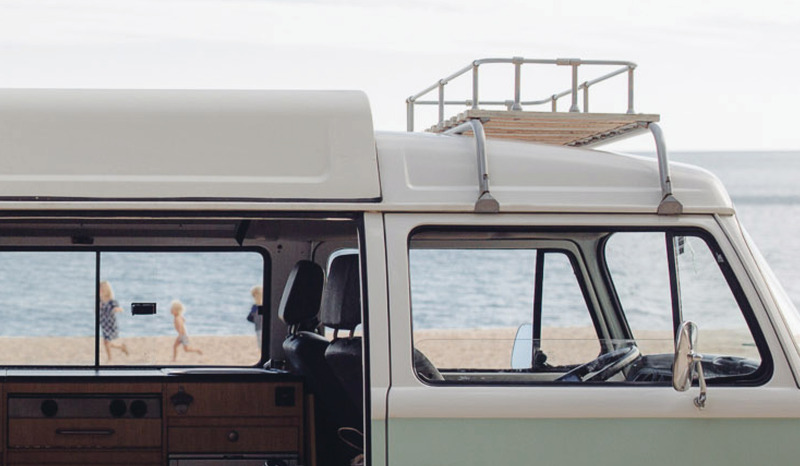 We’d stay snuggled in our sleeping bags, sipping our drinks and laughing as we peered through the foggy windows. The steering wheel of a VW van from the 1970’s is big as a bicycle tire and lies flat, nearly in your lap. With a hand on each side, a hand on each hip, it was easy to imagine we could just keep on driving, keep on dancing, all the way down to Morocco. And from there, who knows? We would have an endless playlist of great songs to dance to and our home on our backs. Like the happiest tortoise, we’d roll peaceful and slow. We’d follow the sun, with everything we love and need close enough to hug. Cute Rio! Might book it a some point! And cute pictures, of course!